APA Hotel Sugamo Ekimae is centrally located in Tokyo, walking distance from Togenukijizo Kogan Temple and close to Mandarake Complex. 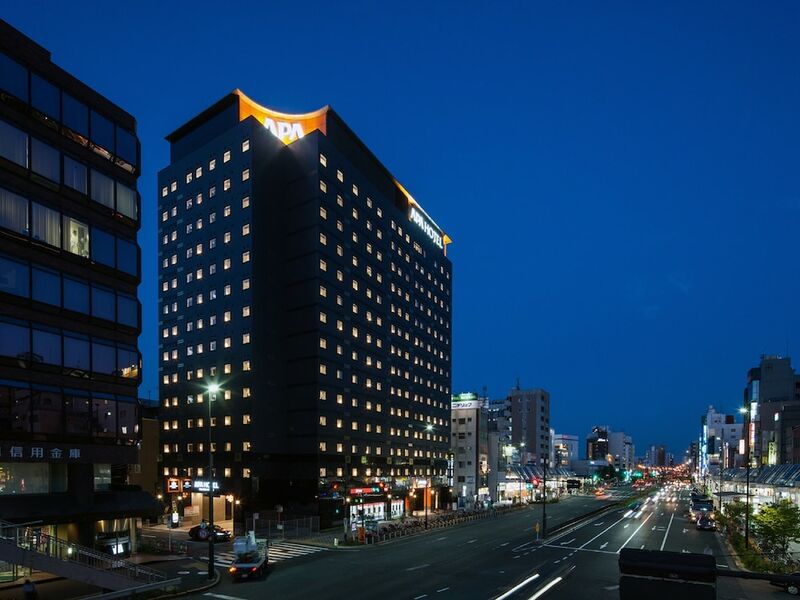 This hotel is within the vicinity of Asakusa ROX and Tokyo Metropolitan Government Building. Make yourself at home in one of the 512 air-conditioned rooms featuring refrigerators and LCD televisions. Your bed comes with down comforters and premium bedding. Complimentary wired and wireless Internet access keeps you connected, and satellite programming provides entertainment. Private bathrooms with shower/tub combinations feature deep soaking bathtubs and complimentary toiletries. At APA Hotel Sugamo Ekimae, enjoy a satisfying meal at the restaurant. Buffet breakfasts are available daily from 7 AM to 10 AM for a fee. Featured amenities include complimentary wired Internet access, express check-out, and complimentary newspapers in the lobby. Limited parking is available onsite.